Bakeman Bakers & Sweets sells all kind of sweets, bakery items and cakes. 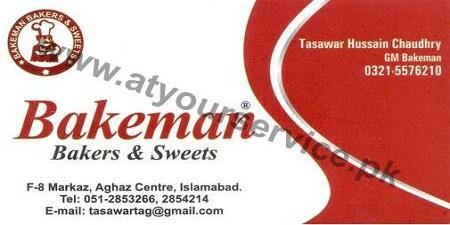 Bakeman Bakers & Sweets is located in Aghaz Center, F-8 Markaz, Islamabad. It sells all kind of sweets, bakery items and cakes.